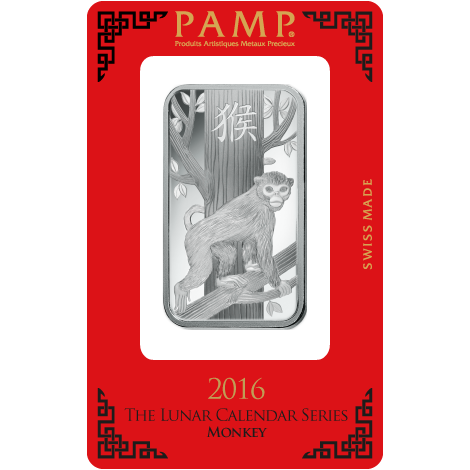 The PAMP Lunar Dog 1oz Silver Bar celebrates the Chinese Lunar year of the dog. 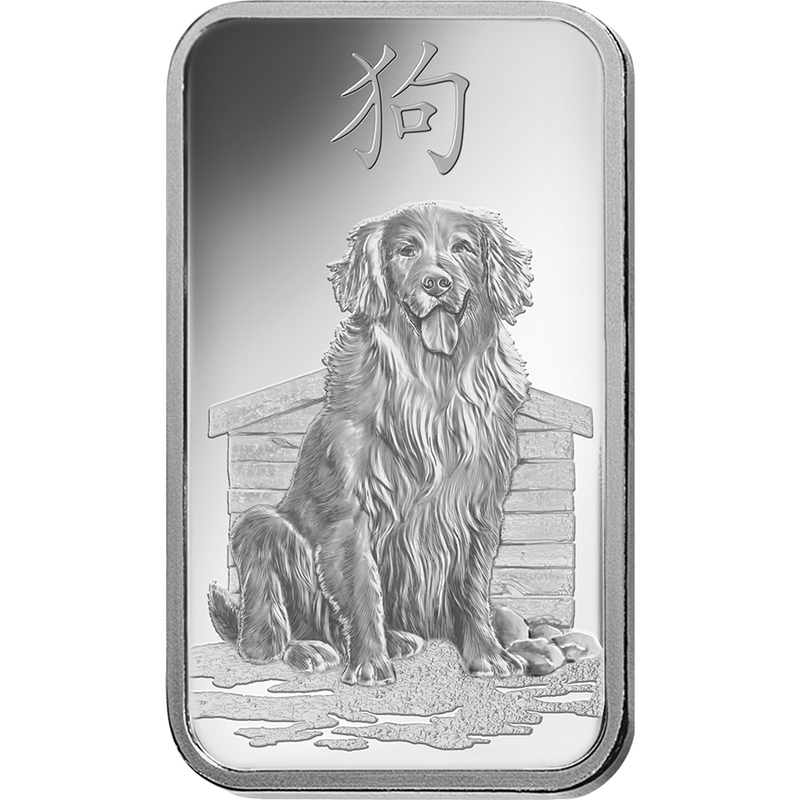 The bars obverse features the image of a Golden Retriever perched in the grass in front of its kennel. The Chinese character for 'Dog' is printed in Chinese. 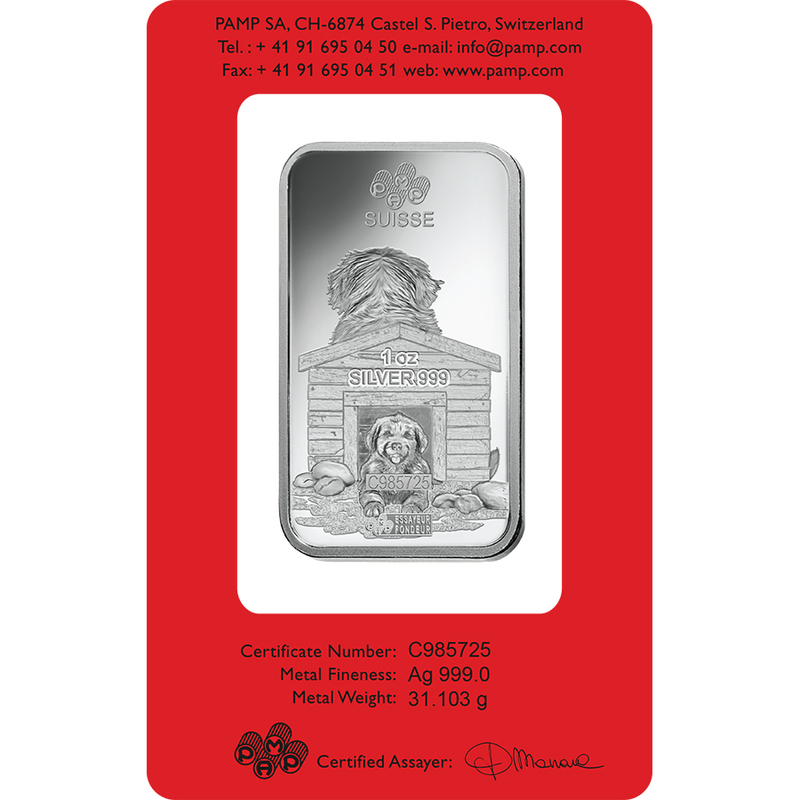 The reverse features the back of the dog, alongside an image of another dog lying down inside of its kennel, alongside the weight and fineness. 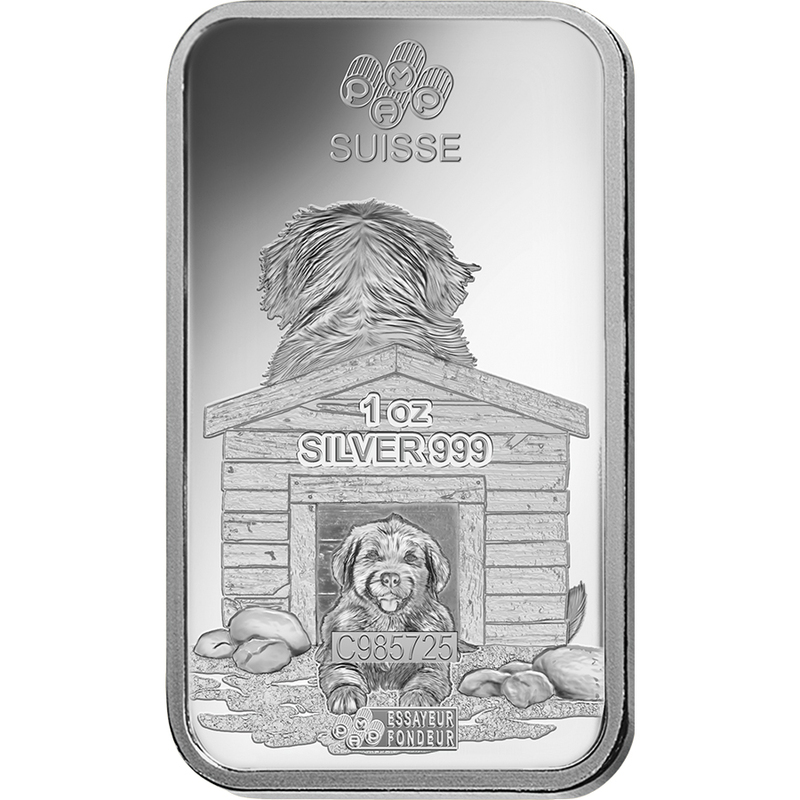 Each bar weighs 1 Troy Ounce of 999.0 Fine Silver. 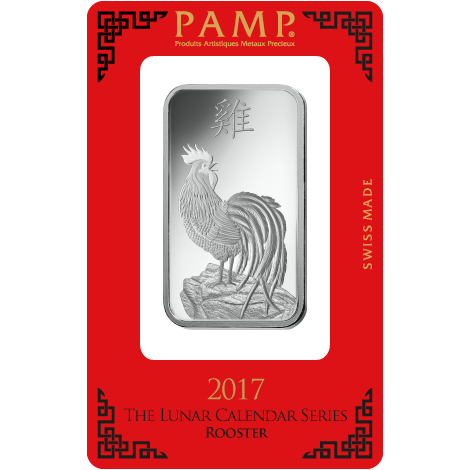 Manufactured by PAMP Suisse, the world's leading independent precious metals refiner. 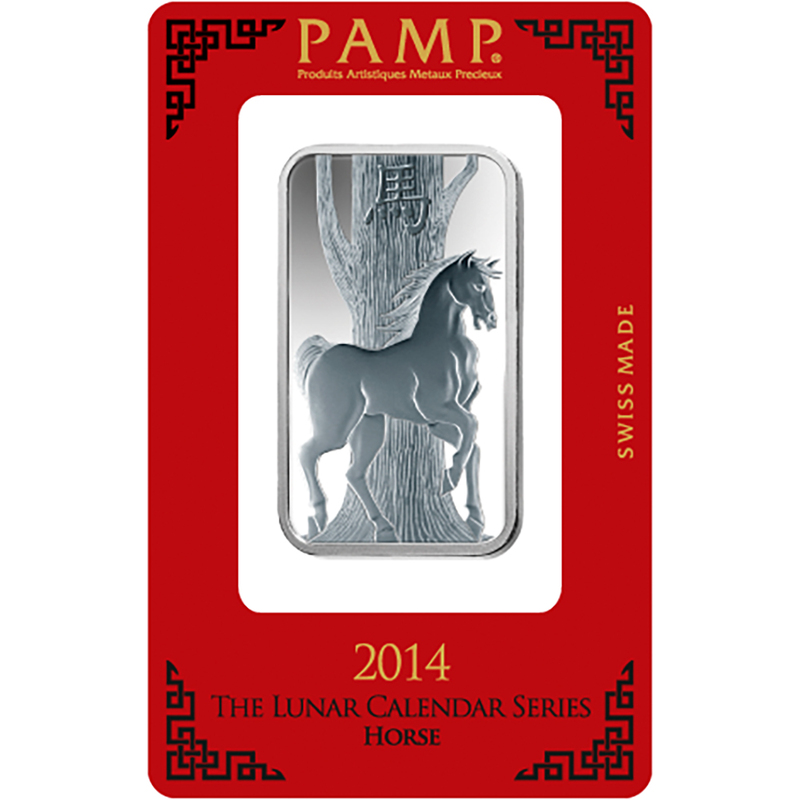 Stamped with PAMP Suisse's Lunar design. 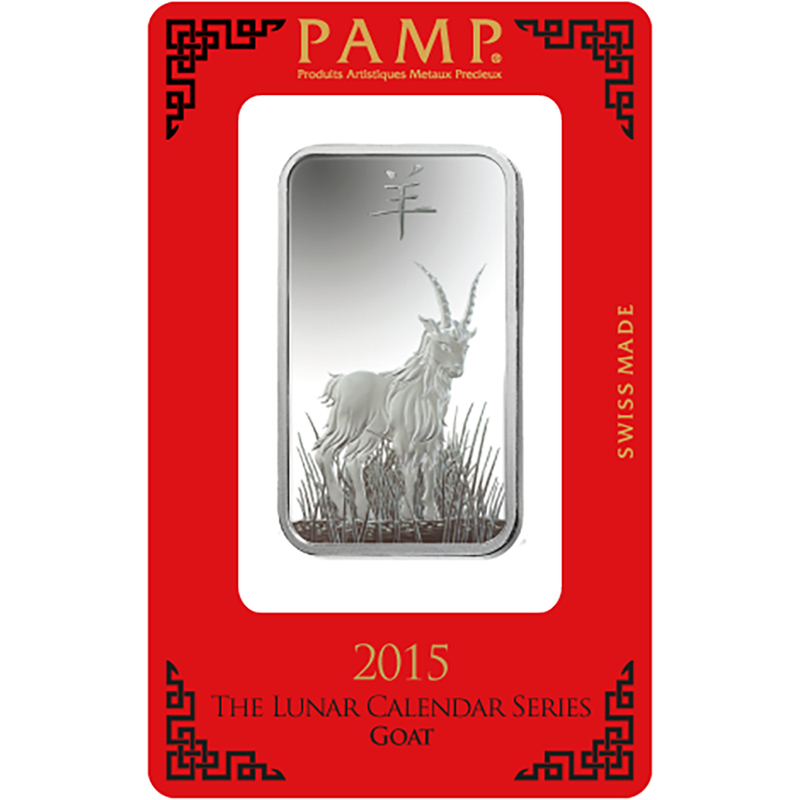 Supplied in a red assay card, certifying the weight & silver purity. Dimensions: Length: 47 x Width: 27 x Thickness: 2.66mm. 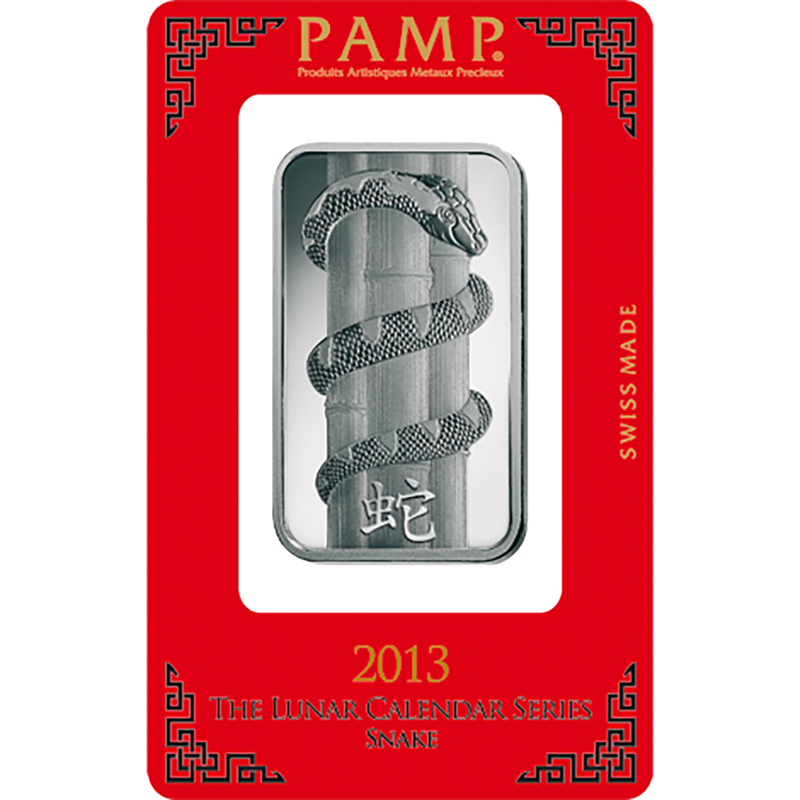 Orders containing multiples of 25 of these bars will be supplied in a PAMP box. 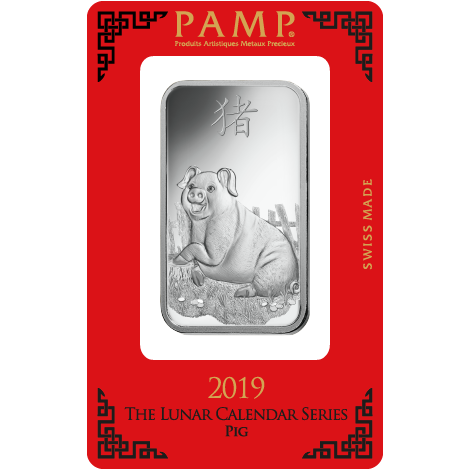 The Dog is the eleventh animal in the 12-year cycle of the Chinese zodiac. 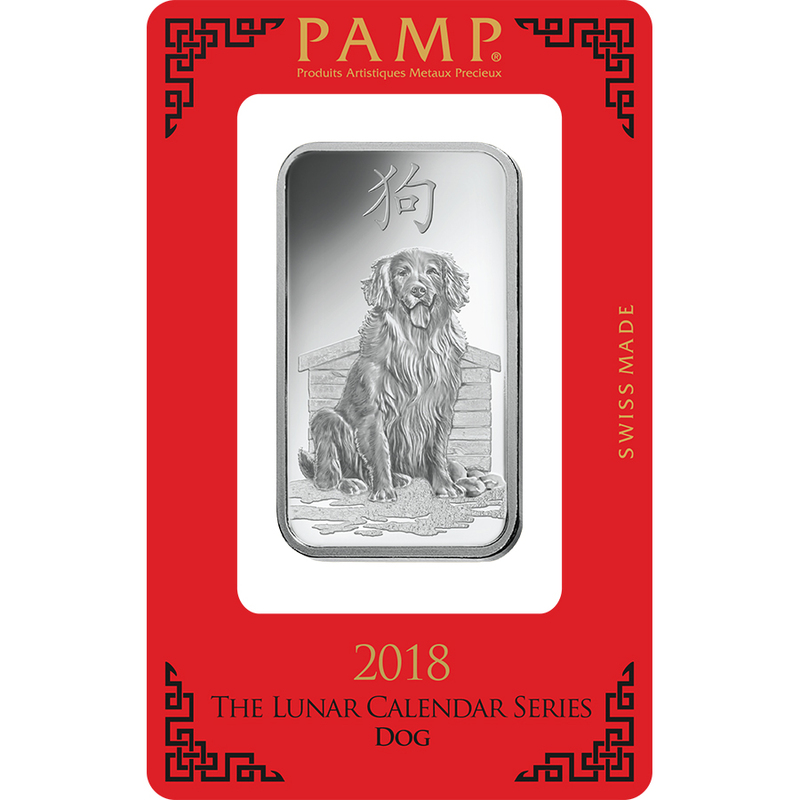 Year of the Dog also applies to those born in 1934, 1946, 1958, 1970, 1982, 1994, 2006. In Chinese culture, those who are born under the influence of this sign are said to be independent, valiant, sincere, loyal and decisive. Silver is subject to VAT at the standard rate of 20%. Save money by buying in bulk whilst still getting the variety that you want by mixing and matching our products.